Well here is some great news. 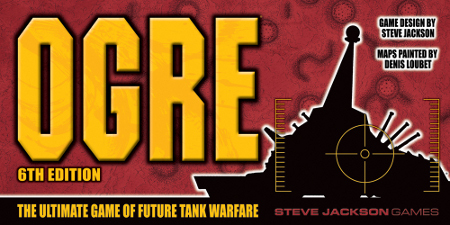 Steve Jackson Games has announced it will be re-releasing its tactical sci-fi, board wargame, Ogre (including G.E.V.) in a new large boxed format! Ogre and G.E.V., in the old Pocket Box, were some of the first wargames we ever played. Both games were simple, challenging, and a lot of fun. But they always suffered from inferior components. The counters were just black and white cardstock that you had to cutout yourself and the maps, while very attractive, were small and on thin glossy paper. Finally having a ‘real’ version of the game is very exciting. If you have never played either game you will want to be sure the check it out when it is finally released. Now the good news, news that personally delights me. We now have to fill a hole in our schedule. 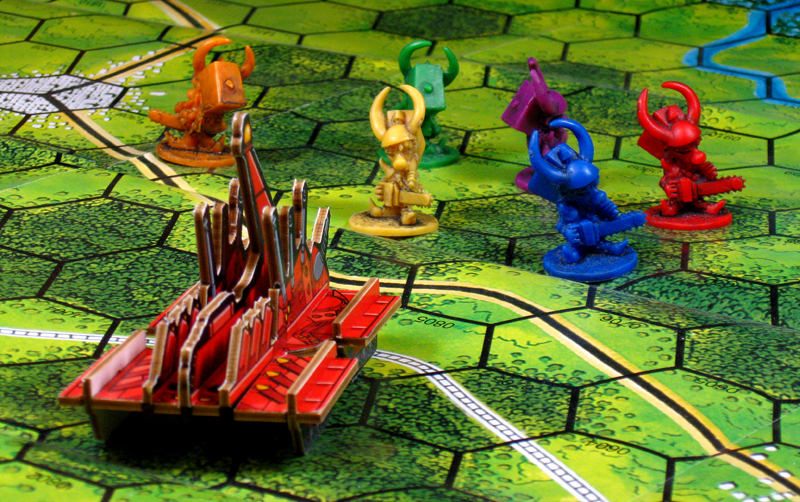 When we looked at everything that might fit into that hole, a spiffy big-box version of Ogre – big board, heavy counters, and so on – had the best combination of “needs no further rules development” and “is in demand.” So we get to have Ogre back. I have been really unhappy that it was out of print, but other things had to come first. Now that the other priorities have temporarily fallen down . . . Ogre gets its chance! What will the new 6th Edition include? Basically, the same game that we have been selling as Ogre/G.E.V., but with massively upgraded components. Further details will have to wait a few days, and when we unveil them, you’ll also get to see the redesigned Ogre webpage. Considering this open letter to distributors it looks like we might really see Ogre 6th Edition in 2011. It will be a large boxed game with cardboard board/counters. Looks like there are ‘pop out‘ Ogres, towers and perhaps some other units. Counter designs are a bit odd especially considering there is no facing in the game.